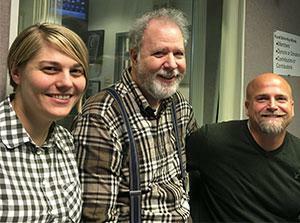 WKSU’s 22nd Annual Hunger Challenge is Wednesday, Nov. 28! This is your chance to pick meals over mugs as your thank you for your WKSU membership donation. This year’s meal donations benefit the Akron-Canton Regional Foodbank, the Greater Cleveland Food Bank and Kent State University’s Campus Kitchen. Click HERE to donate to WKSU and send meals to the food banks! Food insecurity continues to be a major issue for people throughout Northeast Ohio. Listen during the day on Nov. 28 to hear about the exciting and important work these food banks are doing in our communities! For 2018, WKSU is introducing Refer-a-Friend, giving current members a chance to donate 10 additional meals to the food banks if a friend – or relative or co-worker – they refer becomes a member as well. Download the Refer-a-Friend form below! Click HERE to donate now and make a difference! WKSU’s 22nd Annual Hunger Challenge is sponsored by Smuckers and Dominion Energy.